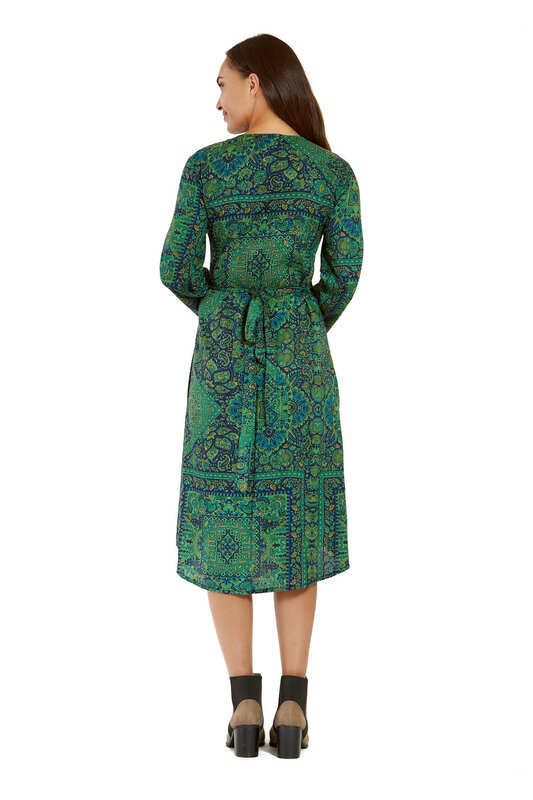 Add some colour to your wardrobe with the Rasaleela Micki wrap dress in our exclusive Jewel Print - a lush emerald green paisley type print with navy, teal and beige . 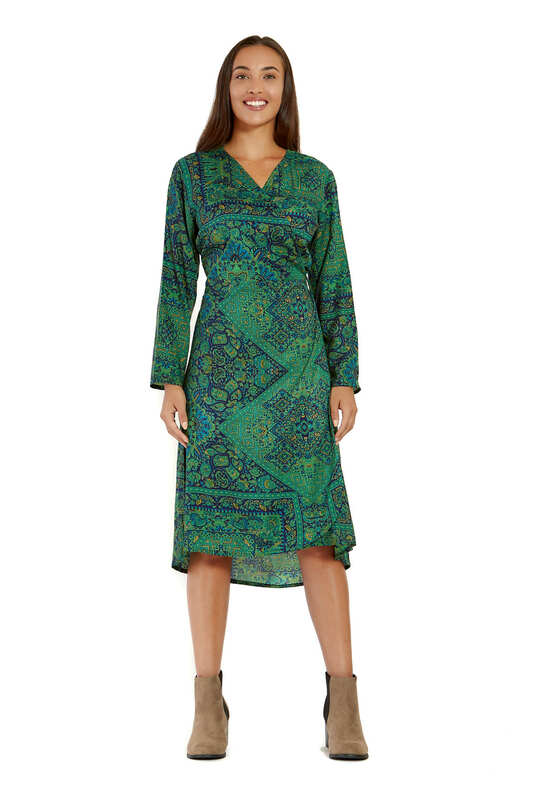 The Rasaleela Micki Dress with its versatile style is a wardrobe staple. Combining comfort and style, this soft flowing wrap dress , will take you from day to night with ease. The Micki Dress is a Trans- season beauty - think denim jacket , leggings with boots or heels or flats for that matter ! Be prepared for the compliments when you wear this super flattering wrap dress !